Under Construction. 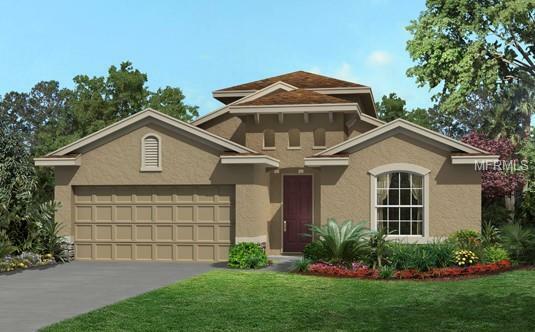 This single story split floor plan has four spacious bedroom, three baths, and a two car garage. Fourth bedroom has its very own bathroom making it a great option to be used as a study, guest room or mother-in-law suite. Kitchen offers 42 cabinets with crown molding, cozy breakfast nook, and breakfast bar. Kitchen looks out onto a separate dining room area and large family room. Master suite includes large walk-in-closet, dual sinks, and garden tub with a separate shower. The Genova floorplan offers oversized colonial baseboards, Moen plumbing fixtures, energy efficient appliances, covered patio area, and an award winning Jack and Jill bathroom. Upgrades for the home included Zodiaq countertops throughout the whole house, tile in the main living area, and upgraded stainless steel appliances. Additional Lease Restrictions All Leases Are Subject To The Board's Prior Written Consent. All Leases Must Be in Writing. Pet Restrictions No More Than 3 And No Aggressive Breeds. Listing provided courtesy of Albert N. Torocco.